This may be one of the healthiest foods on the planet, active against pretty much anything from vitamin deficiencies to cancer. Concerning cancer, Mushrooms may be one of the most effective cancer fighters in the world. On top of that they only have about 100 calories per cup. Many studies done on Mushrooms show that they contain very powerful compounds that have been shown to stop cancerous tumor growths.1 One study from China showed that women who ate at least 10 grams of mushrooms per day reduced their chances of getting breast cancer by 64%.8 What may be responsible for this is its ability to block estrogen production. Most if not all mushrooms have this effect. As an immune system enhancer few foods can match mushrooms. They have been used in Eastern medicine for thousands of years as a medicine that enhances the immune system by providing vitamins and minerals, cleaning out the liver and kill bacteria, viruses and parasites. In Western medicine it has been recommended for patients undergoing chemotherapy or radiotherapy. If you have HIV or AIDS you can also benefit from the powerful immune boosting quality of mushrooms too. 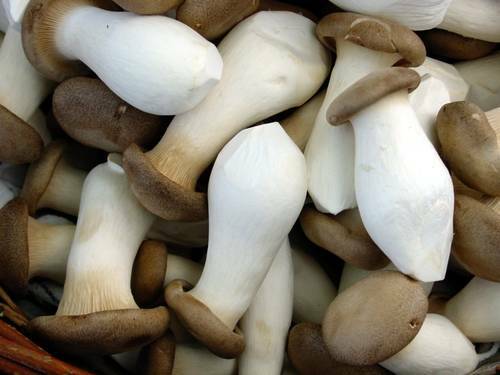 When combine with Green Tea it may provide additional health benefits (You don’t have to have them at the same time just part of your regular diet).2,3,4 Mushrooms have been used to treat all kinds of illnesses because they do not have any known side effects and can be eaten regularly. However, if you have never had mushrooms before you should try a little bite first to see if you have any negative reaction. Note: Mushrooms are not a vegetable but a fungus but we tend to use them (i.e cook them) like we do vegetables. That’s why they’re listed in this section. Endo M, Beppu H, Akiyama H, et al. Agaritine purified from Agaricus blazei Murrill exerts anti-tumor activity against leukemic cells. Biochimica Et Biophysica Acta [serial online]. July 2010;1800(7):669-673. Ferreira I, Vaz J, Vasconcelos M, Martins A. Compounds from wild mushrooms with antitumor potential. Anti-Cancer Agents In Medicinal Chemistry [serial online]. June 1, 2010;10(5):424-436. 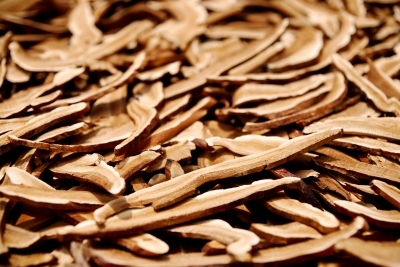 Zhang M, Huang J, Xie X, Holman C. Dietary intakes of mushrooms and green tea combine to reduce the risk of breast cancer in Chinese women. International Journal Of Cancer. Journal International Du Cancer [serial online]. March 15, 2009;124(6):1404-1408.